HOW DO I ENTER THE SAINTS ACADEMY? Saints Academy players at all levels are identified almost solely through the club's scouting network, local clubs and schools in the area. Any player in question is assessed frequently in order to assure their qualities and capabilities to join the Saints PDG or Academy. That said, while a majority of players are picked up by the club at a young age, the door remains open to all players and the club is open to recruiting from recommendation. 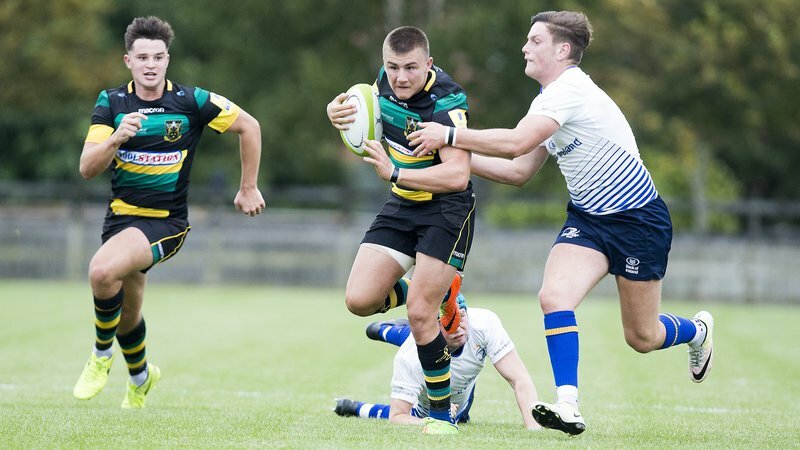 While there is no set criteria in selecting Academy players, scouts and management will only recruit players whom they consider to have a realistic chance of playing rugby at a higher level for Northampton Saints. Of course, each position requires slightly different attributes. Desired traits include but are not limited to; high technical ability, athleticism, physical ability and potential, work ethic and willingness to learn, adaptability, determination, communication skills, game understanding and exceptional or unique talents. WHAT ARE THE BENEFITS OF BEING IN THE SAINTS ACADEMY? The opportunity to join the Saints Academy provides endless and unparalleled opportunities for a young player. The club can boast one of the best coaching teams in the country, both at a senior and Academy level, while the Saints' performance and conditioning team, analysis and facilities are second to none. Those facilities are all on site at Franklin's Gardens which remains unique amongst Aviva Premiership Rugby clubs. Academy players get full use of the state-of-the-art gym and conditioning equipment, while also being placed on fitness and nutritional regimes that are implemented by the first team. Senior Academy players train full time alongside the senior squad, which boasts countless current internationals and players vastly experienced at the very pinnacle of the club game. The Junior Academy also receive similar opportunities to rub shoulders with the first team and experience the day to atmosphere of one of the leading professional rugby clubs in Europe. PDG players meanwhile will enjoy all the benefits of training at one of the Saints' PDG centres. 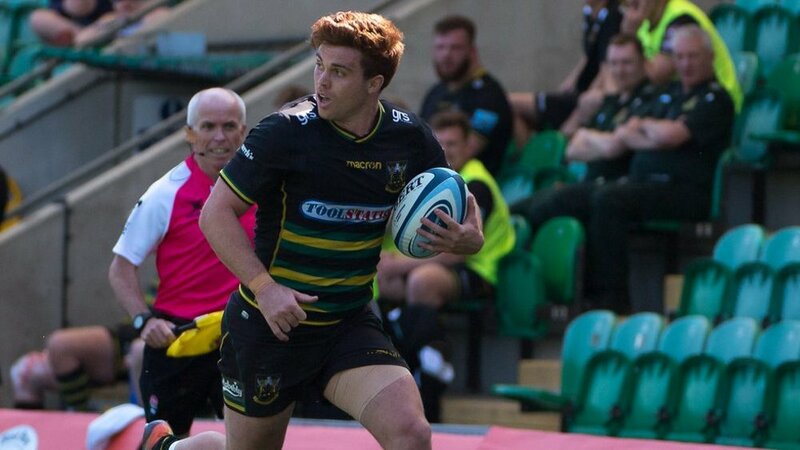 ARE ACADEMY PLAYERS CONTRACTED TO SAINTS? While all Academy players are registered to the Saints, they are not all necessarily contracted to the club. Only players in the Senior Academy aged 18 and over are on full-time contracts. Junior Academy players under the age of 18 and PDG players are not contracted, instead dual-registered both to the Saints and their school, college or club. WILL I STILL GO TO SCHOOL OR COLLEGE? Yes. While education and qualifications can provide a fall back for those who don't make the grade, Saints also believe that it is important for their players to have a focus and interest in something other than rugby. By using education as a switch off from the game, young players can keep their minds fresh and also plan for their future after rugby. Even those who join the club full-time after school or college are encouraged to further their education and the club continues to help players who pursue a part-time university degree or course. CAN I STILL PLAY FOR MY SCHOOL OR CLUB? Saints Academy management believe the best way for a player to develop and learn is by playing rugby, so in theory yes. That said, the team are also keen to ensure that a player's time is managed effectively and so appearances for other teams will be managed on a player-to-player basis in order to avoid placing too high a workload on any individual. This applies not only to the amount of matches they will play in, but also the amount of training they do with the club. IF I JOIN THE ACADEMY WHICH TEAM WILL I PLAY FOR? FULL-TIME (SENIOR ACADEMY) Over the past couple of seasons the Saints Academy has extended their list of fixtures to closer mirror that of a senior full-time side. All home games are played on the Franklin's Gardens main pitch or the first team training pitch - which is maintained to the same high standard. Players deemed ready may well receive senior honours for the Wanderers in the 'A' League and friendlies, or even the first team, frequently in Anglo-Welsh Cup ties and increasingly often in Aviva Premiership Rugby and Heineken Cup. 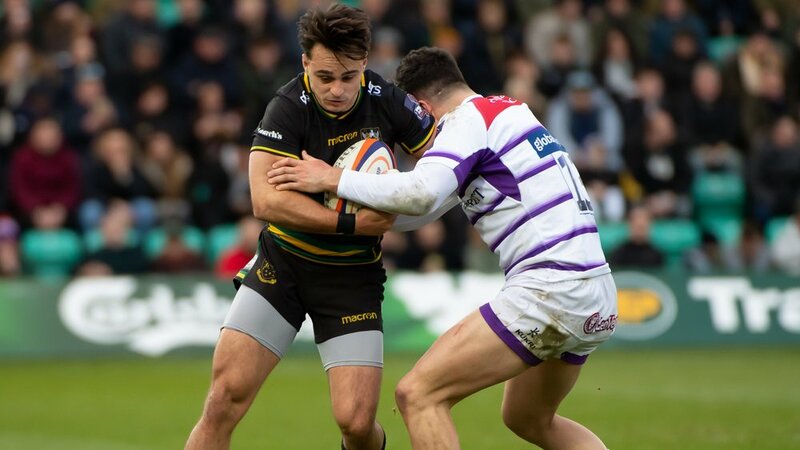 Many Senior Academy players will be dual-registered with other, normally Championship or National League One, Clubs in order to ready them further for senior rugby at Saints. Those who impress at a club level may also earn representative honours with England or their respective nation at age group level. PART-TIME (JUNIOR ACADEMY AND PDG) All players under the age of 18 and not on a full-time contract with the Saints will generally play age group rugby for the club, for example Under-14s through Under-16s in the PDG or Under-18s in the Junior Academy. There is often a crossover where Junior Academy players will be involved in Senior Academy matches and less frequently senior games for the Wanderers. Representative honours are also available at age group level, be it for county, region or country. The main role of a parent in any young players' development, particularly those in the Saints Academy, is to support but not manage their child's rugby development. 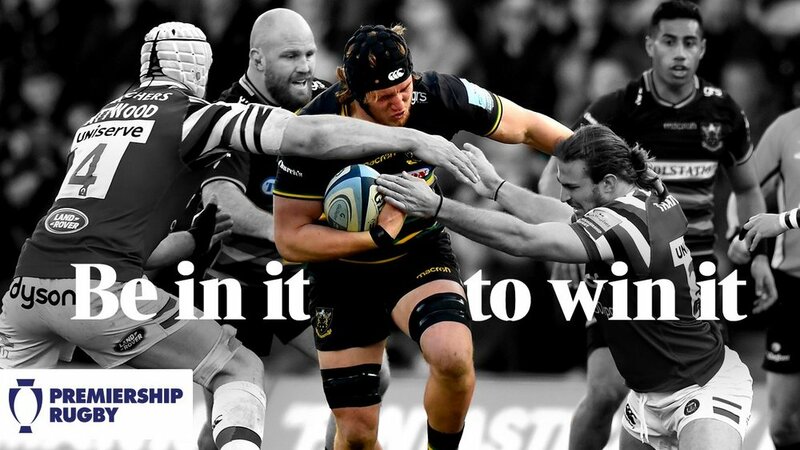 It is vital that a degree of independence is placed upon the player to learn for themselves and implement the routines and programmes devised for them by the expert coaches and conditioners at Franklin's Gardens. Of course, parents can provide encouragement, motivation and assistance to follow the correct guidelines, particularly nutritionally and fitness-wise, but ultimately it is down to the individual themselves to maintain the necessary discipline. In order to have been considered for the Saints Academy, any player's parents will have provided vital emotional support, something which will also continue to prove beneficial throughout their development. WHAT HAPPENS IF A PLAYER IS RELEASED BY THE ACADEMY? Though every player registered or contracted will not make it all the way to first team level with Saints, opportunities will remain available throughout rugby. As previously mentioned, Saints will only take on those players they believe have the ability to succeed at a higher level and so it is fair to assume that any released player will still possess a high amount of quality. Sometimes a player simply needs to find a club that fits their style of play and personality to realise their potential and in other cases, late developers could well make a return to the top level at a later age. Either way, opportunities will almost certainly be available throughout the National Leagues on a semi-professional or amateur basis. In any case, Saints will do their utmost to help released players find the right path for their future in any field and many players go on to enjoy a successful career in rugby, outside of rugby or both.